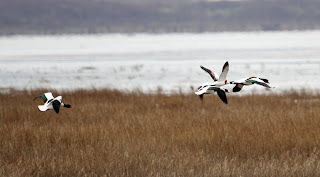 Last Saturday I was at Parkgate where I am usually volunteering for the RSPB Sky Dancer on the Dee project. On Saturday, however, I was there to meet up with some really good friends and hopefully introduce them to a very special bird. The people who came up for the day were coming to try and see a Hen Harrier. 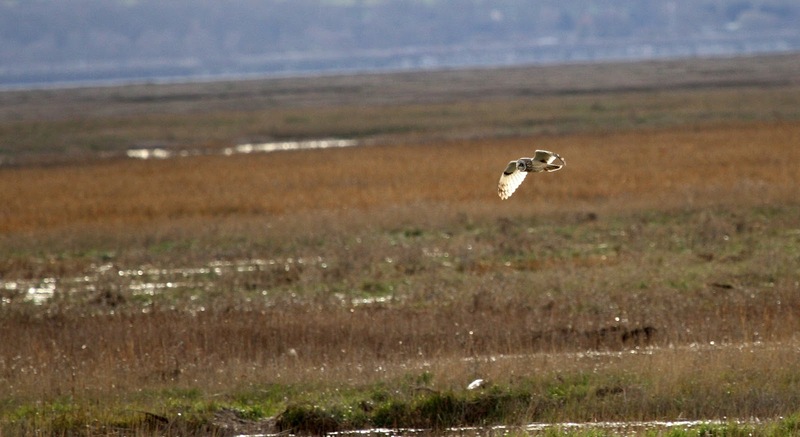 Although many Hen Harriers have already returned to their upland breeding grounds, there was still a chance that one or two would still be at Parkgate, a well known over wintering location for them. The other thing in our favour was the high tide expected that day. 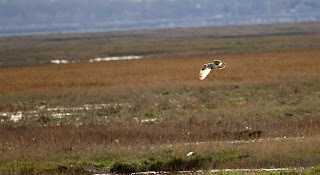 During a very high tide at Parkgate, the whole salt marsh floods, driving small mammals close to the promenade wall, which then brings the raptors in closer. We arrived (me, mum, dad, and Harley) relatively early in order to help set up the RSPB tent with Dan Trotman from Burton Mere Wetlands. 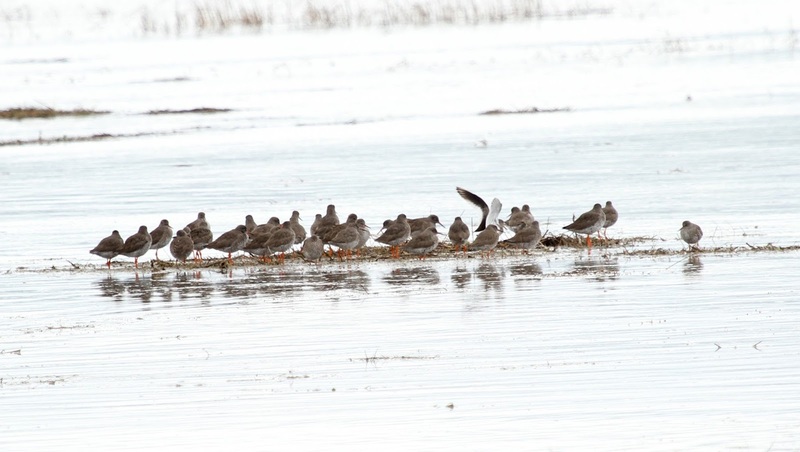 The high tide watch is a great opportunity for the RSPB to engage with the general public and show them the fantastic variety of wildlife at Parkgate. First of the visitors to arrive was Helen Taylor, (the ambassador for Ecotricity) and her partner Nick. I first met Helen at the Young Green Briton debate I took part in at the WOMAD festival last year. I was there representing and speaking up for nature, but you can read more about that here. It was great to meet her again and catch up on what we had all been doing since the festival. After meeting Helen last year, I have been working with Ecotricity, as they agreed to sponsor a satellite for one of this years Hen Harrier chicks, but more to come on that in another blog soon. Ecotricity have been so supportive of me and the other Young Green Britons. Next to arrive was my great friend Ruth, who I have met countless times before. Ruth is very fond of raptors and was really hoping to see some at Parkgate, so the pressure was on. Finally, last but by no means least, to arrive was Simon Ashley, who is Head of Online for Ecotricity. He also brought along his children, Maya and her brother Koa. Maya is very keen on falconry and taught me lots about the anatomy of some species of raptor. It was great to have another keen, young birder with us for the day an introduce her to 3 lifers. We chatted about everything from birds to blogs to twitter. In fact, since meeting up, Maya has started writing her own blog which you can find here. Once everybody was there, it was time for all the introductions. I introduced Helen to RSPB's Dan so we could talk about the Hen Harriers and the satellite tagging for later this year. It was great to chat to everyone and see so much enthusiasm about the day ahead. Our numbers increased again, when we were joined by Kev, Harriet and Olivia; some of my ringing friends. High tide was expected at 13:20, and we had promised everyone that it would reach the promenade wall, however at about 12:30 I was beginning to doubt it would even get half way in. The wading birds were certainly getting pushed up and there were plenty of species to point out to everyone including a Great White Egret, but the star of the show was yet to show up. As 13:00 approached the tide had crept closer, but it still looked doubtful that the whole marsh would be flooded. A massive rat clearly thought otherwise as it ran across the grass and up the wall. We thought it was going to scamper straight into a group of people right by the wall, but it disappeared into a drainage hole just before the top of the wall; so all the cameras dropped back down again (imagine how funny that picture would have been though). And then all of a sudden the tide reached the large pool in front of the Donkey Stand and there was just no stopping it. The water soon reached the wall and the whole marshland was flooded in just minutes. It was fascinating to watch. There were birds everywhere; the Redshank had to improvise by landing on floating bits of vegetation, which occasionally knocked them off balance! A funny sight to see little groups floating past. 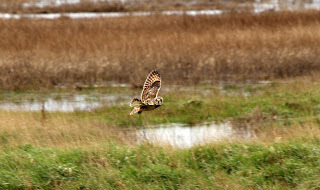 The main reason we were at Parkgate though, was to see the raptor species that feed on all the mammals that are flooded out of the marsh by the rising water. The first bird of prey seen was a Kestrel hunting close in to the the wall. 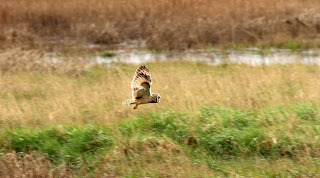 It hovered for ages close to us before gliding further out to the marsh and out of view. 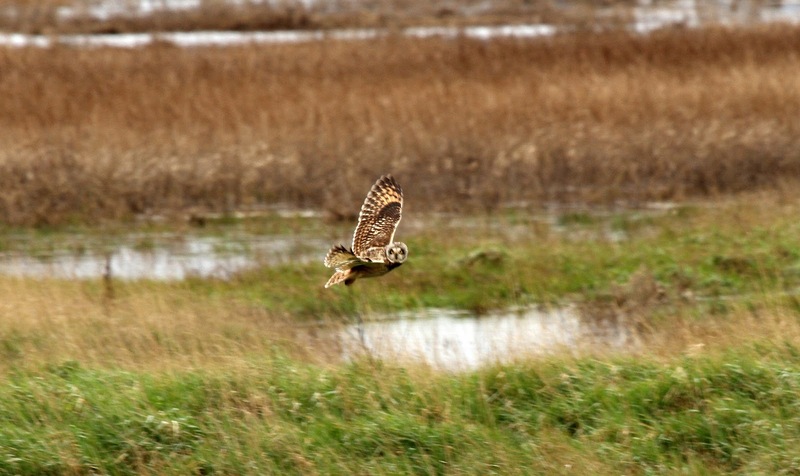 The next bird of prey to be seen were 2 Short Eared Owls that were quartering the flooded marshland quite high up in the air. They were being mobbed by Carrion Crows, a great bird however they were quite distance so the views were not great; if only they could have been closer! A Merlin could be seen sat far out on a post, a lifer for some people with us including Maya. The final bird of prey (well almost the final bird of prey) of the day was a ringtail Hen Harrier that flew quite close in past everybody watching from the RSPB tent. The bird was likely to be a young bird, as the adults by now should have returned back up to the moorland in the hills to breed. It went quite quiet as everyone focused in on this amazing bird. A lifer for quite a few of the group, but an amazing bird regardless of how many times you have seen one. So the pressure was off, the tide had reached the wall and a Hen Harrier fly by had happened. I was so pleased that Helen and the Ecotricity team had finally seen a Hen Harrier and could feel that bond with the bird. I don't think they will ever forget that moment. Well yes it could, as out of no where another Hen Harrier appeared, this time a definite male. And a very well known one at that. Henry Hen Harrier had turned up. He just can't resist the opportunity to look out for a ringtail. He hogged the scope, chatted and charmed everyone and then disappeared in the direction on the fish and chip shop. So a count of two Hen Harriers was just fantastic. As the tide continued to ooze in, the bird life kept us entertained. 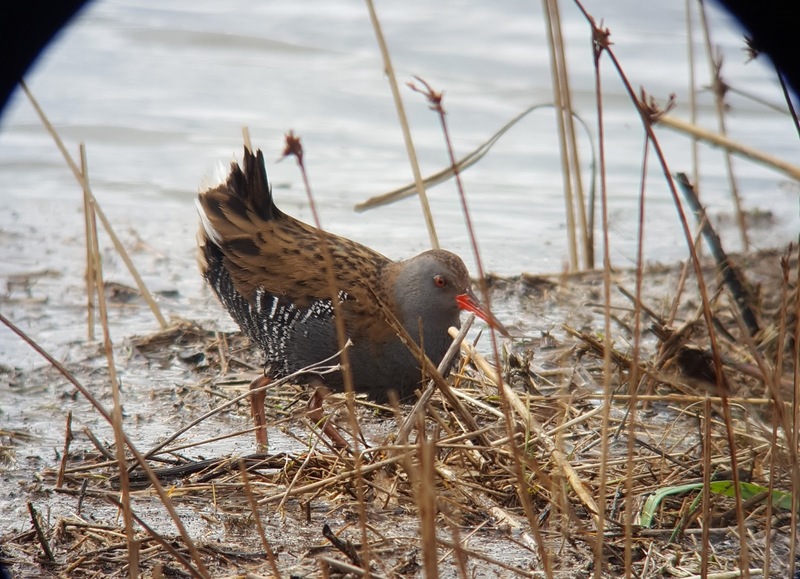 The timings of the tides were good for us watching; however not that great for all the breeding birds on the marsh, especially Water Rail which could well be sitting on eggs by now. One Water Rail flew straight at us and then veered off along the promenade wall giving us great views as it floated past on yet another vegetation raft. By this point it was getting late in the day, so at 16:00 we retired for the day and went to the Boat House pub for a meal together. Unfortunately Dan had to go and couldn't join us, as he is still working, however a massive thank you to him for helping to give a great day out for everyone. So picture the scene, we are all sitting in the pub, overlooking the salt marsh; tired and happy after a great day and just catching up and chatting. Then one of the group suddenly shouts "Short Eared Owl" quite loud and our whole table is on their feet pointing and shouting very excitedly. It must have been quite infectious as soon nearly everyone in the pub was watching the owl. 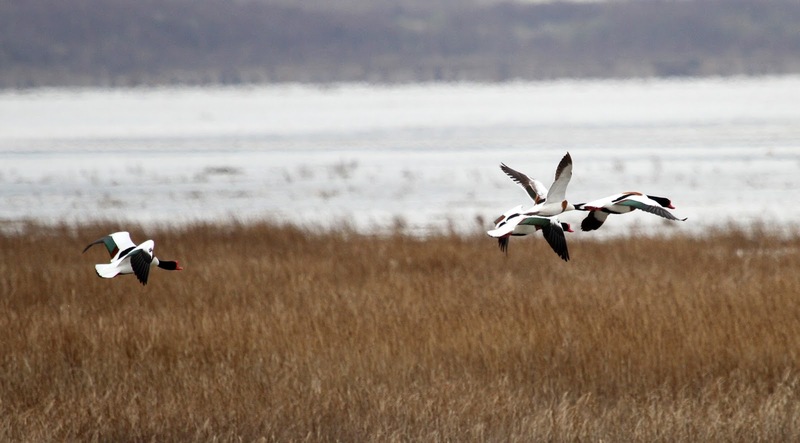 It flew up and down, quartering the marsh right in front of where we were sitting. It was that close you could see the fantastic orange ring around the eyes. But it didn't end there. A darker owl flew by. Was it just the light or was this another owl. And then they were flying together. So we had 2 owls entertaining us over dinner. So what can I say. A truly fantastic day with amazing people. One of those days that will sit in your memory for a long, long time. To safe guard the future for all these species though, we need to get our MPs to #Think500YearsAhead. So please join the Thunderclap by clicking here. Amazing....and your commentary brought us right there with you. Yes, indeed...save nature, be aware and respect the bird life [and all wildlife]. You're an incredible young man to be so alert to all the 'dangers' of humans ruining their environment. Great Water Rail and SEO shots. Enjoy your time in North Wales. Very proud to have shared the day with you, Finn. Thank you and thanks for this brilliant account. #Think500yearaahead! How lovely isn´t that! A birdwatching ginormous bird named Henry. HI Finlay what an exciting day and I was riveted reading the account of it. Would love to have benthere to see all the action. clicked the link for you. Keep up the good work.